10 Biggest Controversies That Rocked Bollywood In 2018! From protesting against movies to making idiotic statements in the media, Bollywood has been through a lot this year. If 2017 was the year of 'nepotism', 2018 was the year of 'weddings' and 'it hurt religious sentiments.' As the year ends, we have rounded up the biggest controversies that rocked Bollywood in 2018. Scroll through to know them all. 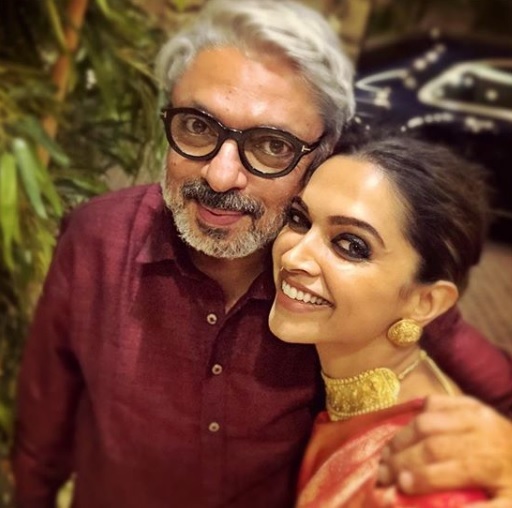 Sanjay Leela Bhansali's Padmaavat continued to be the centre of several controversies in 2018. 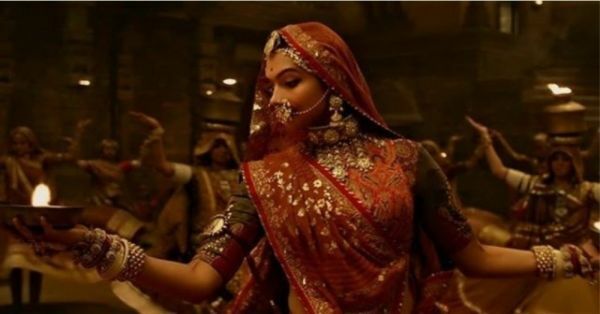 From the initial release date being postponed and the Karni Sena vandalising theatres and burning buses, to four states asking for a ban and the Censor Board suggesting a change of name, the cast and the crew got some relief only after the Supreme Court ordered a nationwide release in January. Well, all's well that ends well. 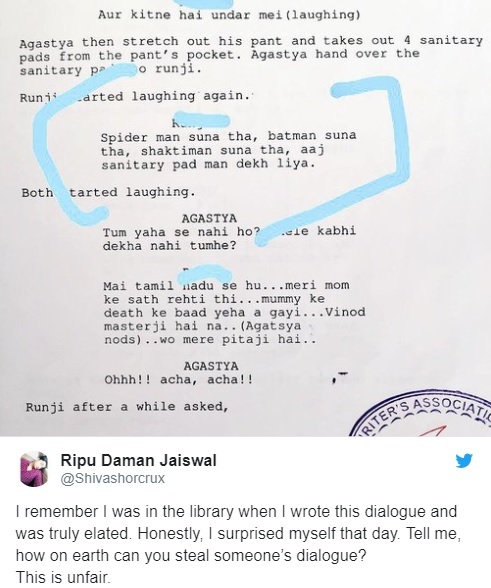 The film may have garnered a lot of positive reviews, but when a writer, Ripu Daman Jaiswal, claimed that the film had uplifted multiple scenes from a screenplay he had shared with Dharma Productions, there were whispers of plagiarism. The film's director, R Balki rubbished it all in an interview, but that didn't stop the rumour mills from buzzing. We will remember 2018 as the year the #MeToo movement gained momentum in the country. However, leading Bollywood actors remained tight-lipped on the issue. Amitabh Bachchan's controversial statement on not being either of the concerned parties and hence not being accountable to answer gathered a lot of flak, as did Salman Khan's statement when he said he had no knowledge of it. 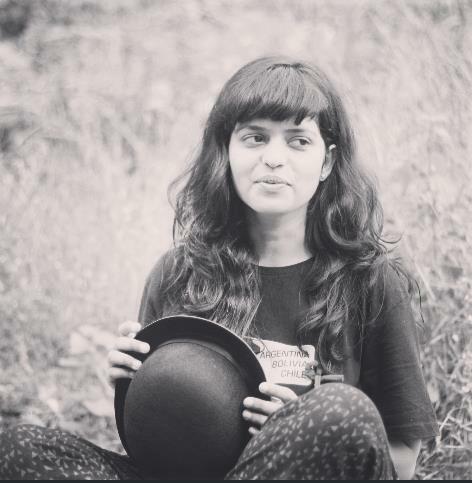 To read all about the #MeToo Movement in India, click here. 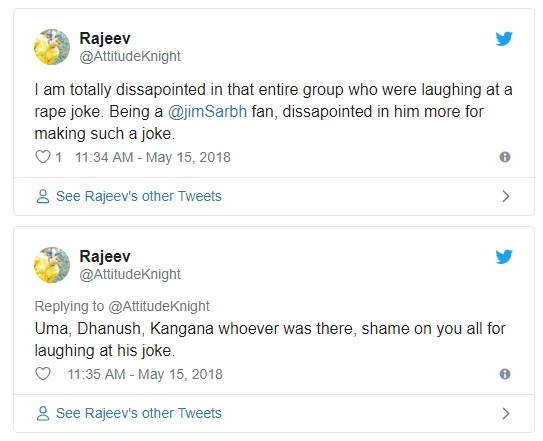 At Cannes this year, Jim Sarbh cracked an insensitive joke and Kangana Ranaut was recorded laughing at it. The moment was caught in a video that went viral and both actors found themselves at the receiving end of a massive backlash on Twitter. The actor finally responded by saying that his remarks had been taken out of context. On a public forum, Sonam stepped into turmoil when she stated that one couldn't always take Kangana seriously, causing the Queen actress to retaliate by saying in an interview, "I am not known because of my dad, I have earned my place and credibility after struggling for a decade. She isn't known to be a great actress, neither has she the reputation of being a good speaker." Ouch. 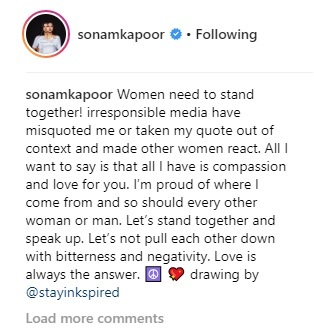 Sonam, later, said in a post on Instagram that women need to stick together. Sidharth Malhotra's remarks about Bhojpuri, while promoting his film Aiyaary, did not sit well with actress Neetu Chandra who felt that the actor had used his words without thinking, causing disrespect to the language. Clearing the air, the actor gave out a statement. The friends and comedians had a mid-flight argument, which eventually led to the downfall of their popular show. 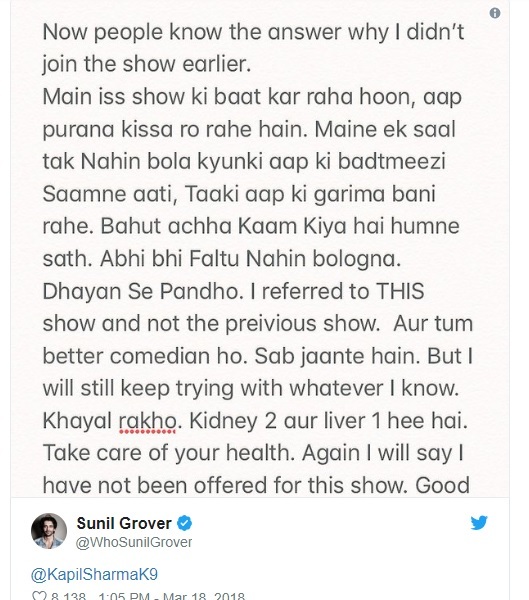 This year, however, Kapil Sharma's new show was said to be in the making, sans Sunil Grover. 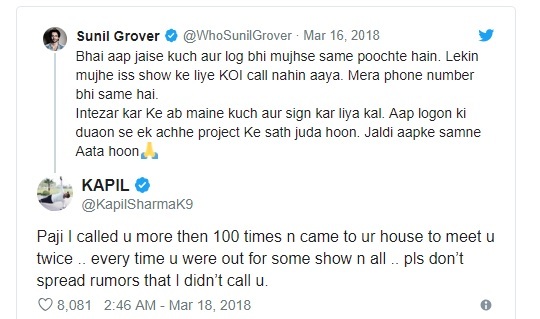 And here's what followed when Sunil talked about it on Twitter. When Salman Khan visited Jodhpur for the hearing of his blackbuck poaching case, gangster Lawrence Bishnoi threatened to kill the actor in order to show him 'our real identity'. Needless to say, the police were involved and although he returned safely to Mumbai, it was one of the most talked about incidents this year. 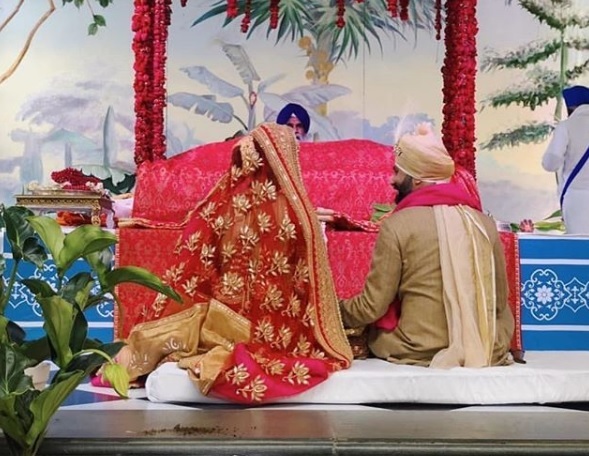 The venue of Sonam Kapoor and Anand Ahuja;'s wedding, which was her aunt's home, reportedly had thieves helping themselves to cash and jewellery. After this was detected in a CCTV footage, an FIR was filed with the Mumbai police. This widely anticipated film is yet to hit theatres, but it already has had its fair share of trouble. First, the Sikh community filed a petition, asking the makers to explain a scene where Shahrukh Khan appears to be wearing a kirpan (a dagger deemed religious in Sikhism). 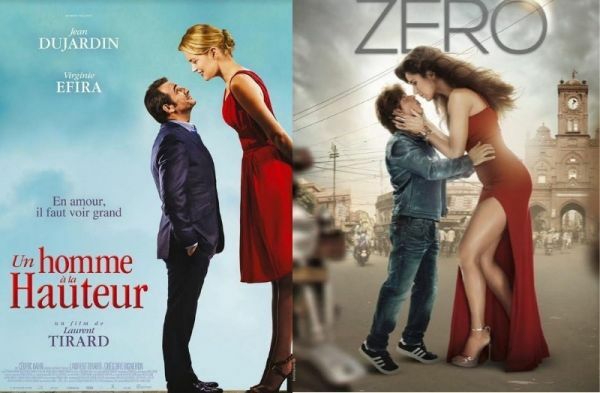 Before that could end, there were reports that the poster of the film was plagiarised from a French film. Sheer coincidence or 'inspired'? Let's hope 2019 is a better year, minus the controversies.